Football seems best on Sunday, more time for casual enjoyment and social gatherings among more sports fans. Today in Seattle, the local Seahawks played the San Francisco 49ers (Seahawks won 12-9). I missed much of the game but heard the 49ers played well and the Seahawks offense was a bit weak. Meanwhile, the rain happened for much of the day. The drops weren’t heavy but were enough in giving the city a much-needed sprinkle, after the recent smoky weather. Every drop on my head felt good, and I look forward to more in the coming days. 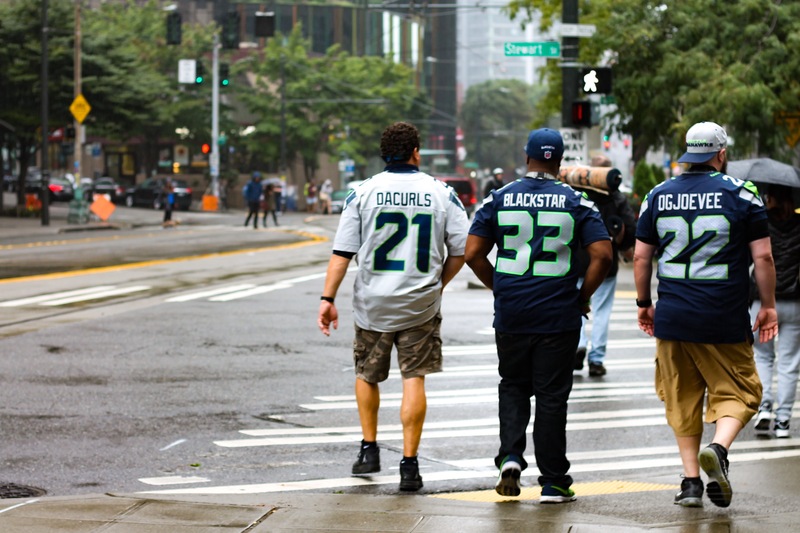 Posted on September 17, 2017 by Orion T.	This entry was posted in Photography, Seattle and tagged football, people, rain, Seahawks, Seattle, sports. Bookmark the permalink.